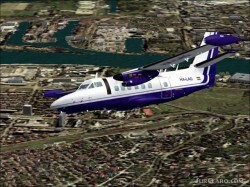 Pannon Wings Design Team Let L-410 UVP-E For MS Flight Simulator 2004 model version 1. 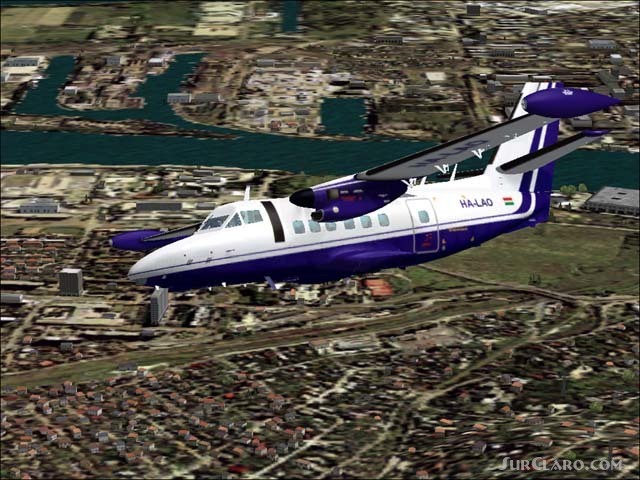 0 Authors: Bence Benedek (3D model) Tibor Kkai (paint) Jiri Masnik (gauges) The model of L-410 made with Flight Simulator Design Studio (FSDS) 2. 24 and contained 15. 871 poligons. All available surfaces are animated such as ailerons, elevators, rudder, gears, cargo and passenger doors, arms and pedals. Custom 2D panel and gauges, animated and working virtual cockpit. For the textures using CorelDraw and Photoshop. Three paint layout is available: one real life Hungarian paint as reg. HA-LAO, one Czech LET factory version and one official paintscheme of Pannon Wings Design Team. Textures repaint kit is included too.